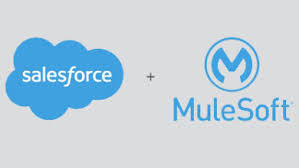 Salesforce, the global leader in CRM, has announced it has completed its acquisition of MuleSoft, the provider of one of the world's leading platforms for building application networks. With MuleSoft, Salesforce will accelerate customers’ digital transformations, enabling them to unlock data across legacy systems, cloud apps and devices to make smarter, faster decisions and create highly differentiated, connected experiences for their customers. “Deloitte has long-standing relationships with Salesforce and MuleSoft and looks forward to exploring the innovative ways to harness this combined technology to help clients meet their toughest business challenges,” said Jason Girzadas, Deloitte Global Managing Principal, Consulting. “Salesforce's purchase of MuleSoft puts the customer right at the heart of digital transformation. Many companies are still lagging due to the difficulty in integrating legacy infrastructure, automating manual and paper-based processes, and managing data growth. MuleSoft will play a starring role in projects for the businesses that still have not formalized digital transformation strategies,” said Sheryl Kingstone, Research Director, 451 Research. Companies of every size and industry need to transform how they do business in the digital age to innovate faster, deliver differentiated customer experiences and increase operational efficiency. MuleSoft will continue to build toward its vision for the application network with Anypoint Platform, connecting any application, data source and device—whether it touches Salesforce or not. Anypoint Platform will also be available as part of the Salesforce Integration Cloud, which—along with other complementary tools—will make it easy for customers to surface any data regardless of where it resides to deliver intelligent, connected customer experiences across all channels and touchpoints.